We do backups differently at Compose and we'd like to explain why. Our preferred approach is to take a rapid snapshot of a database's data on disk. With the range of databases we have though there are exceptions to that preference and that means different ways to load a local database with that data. With MongoDB, we use snapshots to create our backups. We do that for a couple of reason. Firstly, there's no downtime in taking a snapshot. The image is swiftly grabbed at a suitable moment and the production databases know nothing about what has happened. 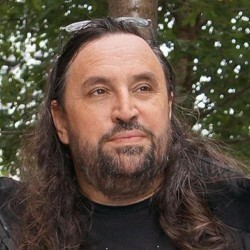 The actual backup creation takes place in the background. The last thing you want with a backup is for it to be interrupting your service while trying to protect your service. Secondly, these snapshots make for a complete image of your database and that means that we don't have dependencies on previous copies of the data or or other silos of information. That makes for a more reliable and coherent backup. Thirdly, because we have a complete image, it makes it quick to restore the whole database into a new database deployment. We don't even think about trying to reimport data into an existing deployment as that could just complicate things to the point of corrupting data. Instead we create a clean new database deployment with the snapshot data in place and startup. And you're back. So that's why we take snapshots, but we want to talk about how you can use those snapshots – and other backups – yourself, outside of Compose's restoration options and for that, you'll need a copy of the backup file. This process is the same for most of the databases you use on Compose. Head to the Compose Console and select Backups from the sidebar. You can restore or download from a daily, weekly or monthly backup by selecting one of the rows in the Daily Backups, Weekly Backups or, you guessed it, Monthly Backups section of the table. 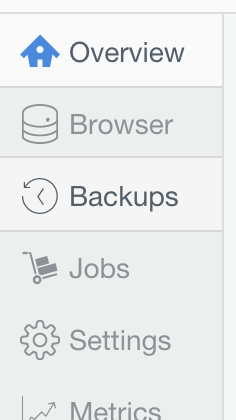 If you want an up to the minute backup, you can click the Back up now button and it'll create an on-demand backup which will, when complete, be displayed at the top of the table. On the right hand side of the table, you'll find two icon buttons in each row. The arrow into the box is the one we're interested in here as that is the download button; the other button, the circular arrow, is the restore button which we don't need for this process. On everything but our original older MongoDB, clicking on the Download button will start the download immediately. The file being downloaded will be a gzipped tar archive though the actual file name may be just tar depending on your browser's interpretation of the download. You can, on Unix like systems, confirm the file type with the file command (file downloadedfile). The file will either be named with the timestamp it was created or as on_demand. To make life more readable from this point on, we're going to call our downloaded file backup.tar.gz. RethinkDB users won't need to do this extraction, but for other databases we now extract the contents of the backup into its own directory. It's best to extract any backup into its own directory as they may contain many, many files. The C in the tar command makes tar change into the specified directory before extracting. Now we've downloaded and extracted the backup into a directory called db, let's go bring up a local instance of the database. That of course depends on the database where the backup came from. We will assume that we've also downloaded and installed a version of the database that matches the version (or later) of what is in use on Compose. That's it. The database should be running on localhost:27017 and we should be able to run mongo to get a shell session with it. of Postgresql, which is postgres (PostgreSQL) 9.4.5.
another database, run `\connect compose`. If we bring up a browser and look at the RethinkDB console on localhost:8080 we should find all our data there. You now need to change the entry in the config file for dir. It'll typically be pointing at a directory and in our case it reads dir /usr/local/var/db/redis/. We'll change that to dir . and save the file. Once saved, we can run the server with our config file. To check it's running, you should be able to log in with just redis-cli in another window and enter scan 0 to get a quick view of some of the keys in the Redis database. Currently, Elasticsearch is an exception to Compose's downloadable backups feature. Contact support@compose.io if you want to assistance with Elasticsearch backups. Backups are still restorable within the Compose system. We've covered how to use Compose's downloadable backups to bring up a local database with the same data running in your production database. You can use this for local testing, performance runs or just as part of your restoration process.